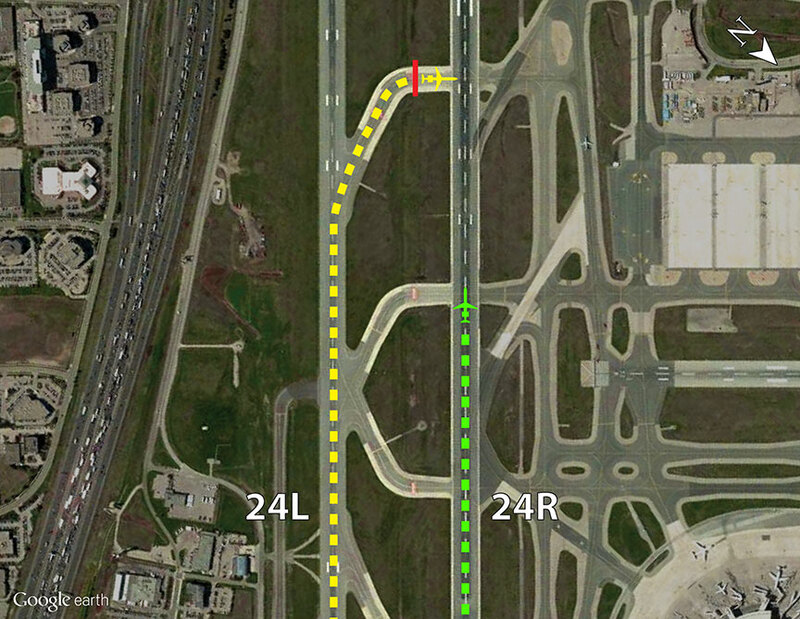 The Transportation Safety Board of Canada (TSB), citing 27 runway incursions in just over five years at Toronto Lester B. Pearson International Airport, has issued a series of recommendations to improve safety at two closely spaced parallel runways. Two recommendations are for Transport Canada and the U.S. Federal Aviation Administration to work with operators to develop standard operating procedures calling for crews to wait until after their landing aircraft clears all active runways to begin post-landing checks. The fourth recommendation says that the Greater Toronto Airports Authority should change the taxiway layout at the airport’s South Complex to limit the risk of runway incursions between the parallel runways.